In April of every year, HPSO sponsors an event that is one of the largest of its kind in the Pacific Northwest. 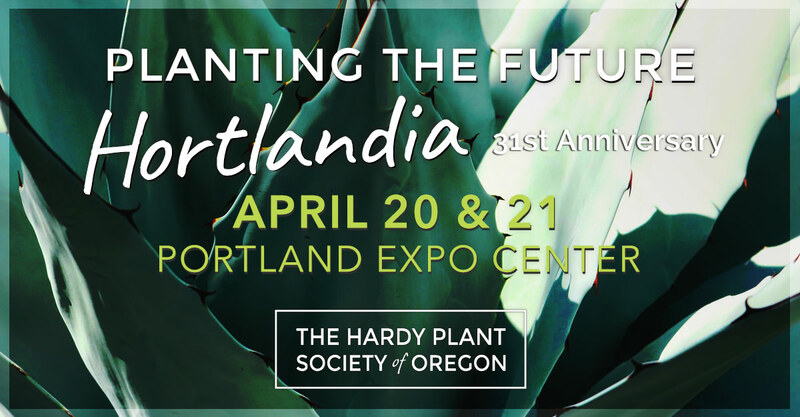 Vendors from far and wide – from nearly the Canadian border to the California border – come to Portland to offer the latest plant introductions as well as the time-tested (and hardiness-tested!) plants. Complementing the plant vendors are specialty garden art vendors bringing one-of-a-kind pieces made from metal, wood, glass, ceramic, fabric, and stone. Each work of art is handcrafted by the vendor. 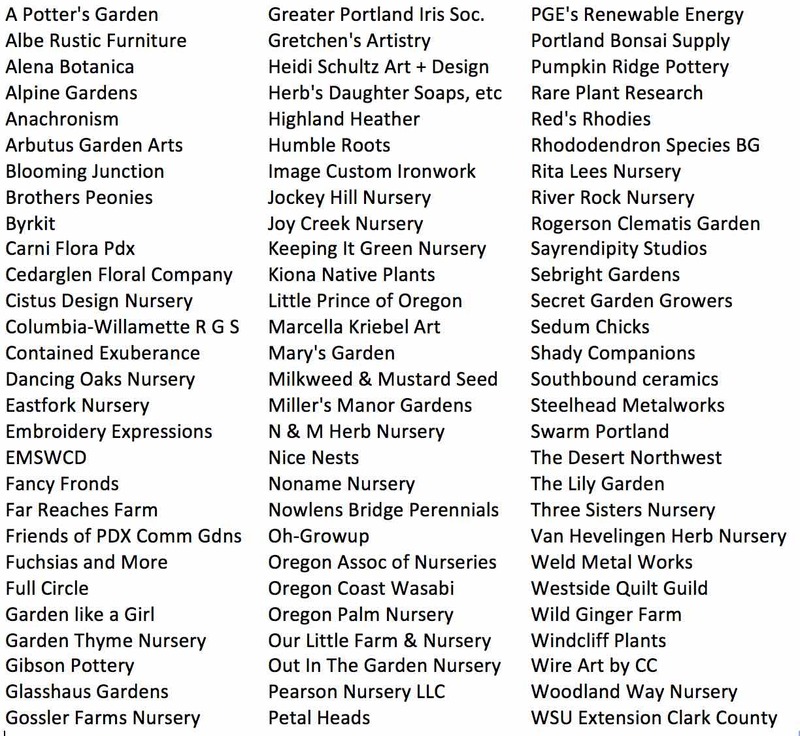 This is a wonderful event, and it's particularly nice to have so many nurseries and artists, with so many plant choices and specialty works, all under one roof! Volunteers make the sale happen. It takes about 240 volunteers working 3-hour shifts to ensure that the sale goes smoothly. As a benefit for helping out, volunteers get to shop one hour before the general public. A room map and vendor cross-reference list is now available for download here! There is plenty of parking in the EXPO Center lot, and the City of Portland charges for parking there. A few dollars can be saved by carpooling, but be sure to leave enough room to take home some plants and art! The Interstate MAX Yellow Line also goes right to EXPO.